Immersion water heaters from Sunrise Products are an efficient and fast way to heat water for different applications. Heating the water through direct heat transfer allows it to get to the required temperature quickly and it can be highly beneficial for several industrial processes. We are one of the renowned Immersion Water Heater Manufacturers In Delhi, and we improve these heaters regularly to ensure optimum performance. Our team of experts have worked in this industry for several years now, and this experience is reflected in the perfection of our designed heaters. So, for whatever industrial environment you need these water heaters, we can deliver it to you. Solid Construction - The solid construction of these heaters makes them reliable enough to last for a long time. Easy To Use - The ease of usage of our immersion water heaters is unmatched when compared to any other heater. Corrosion Resistant - Our heaters are resistant to corrosion and moisture. So, you can use them in moist conditions without any worry. 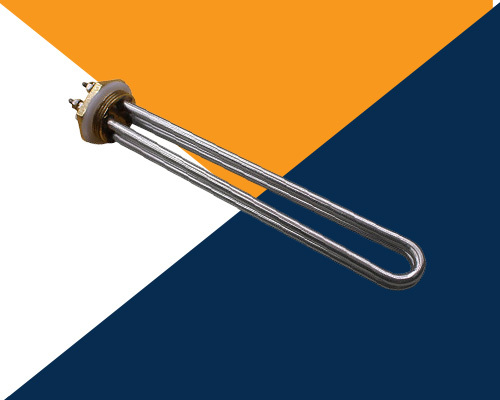 Our company is one of the most illustrious Immersion Heater Exporters and Suppliers in India. If you want to buy our Water Heater, request a call back by sharing your contact details.